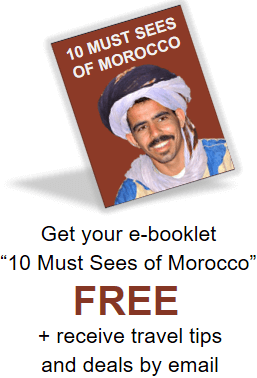 If you are looking to travel in Morocco in 2012, there are many great places you can go to make your stay as enjoyable as possible. 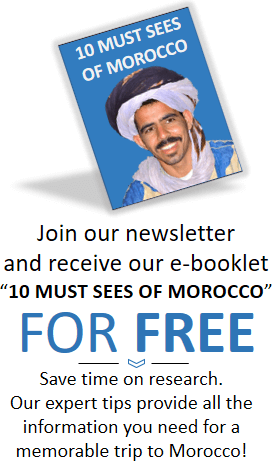 Morocco provides a huge amount of opportunities for those of you who are looking to take a relaxing and fun vacation. Morocco holds many beautiful cities, each with their own style and personality. The authentic city of Fes is home to all of the ancient traditions and religion of the Moroccan culture. In Fes there are many incredible riads and hotels. Riads are old houses with a garden in them. These old houses are decorated with the elaborate work of the traditional craftsmen who do work such as tiling, intricate plasterwork and amazing wood design. If you want to go to Fes, be sure to take a tour of the walled in city or “Medina”. There you will see one of the oldest universities in the world, the Quaroine. Now it is a huge Mosque, where people study the Koran. While staying in Fes, you might want to stop in Volubilis, the nearby remains of a 2000-year-old city of the ancient Roman Empire. 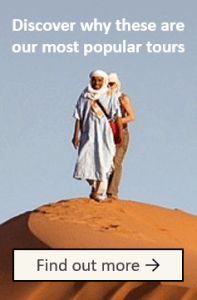 Another wonderful place to stop in a tour of Morocco would be Erfoud and the Sahara Desert. In Erfoud, you will be able to stay in kasbahs or hotels, and enjoy a night before you head out into the desert. When you arrive in the desert you will be greeted by huge golden sand dunes that seem be moving waves of the great desert. You can also take a camel ride out into the oasis and go to sleep in authentic Berber tents and watch the larger-than-life desert stars. If you would like to see the glorious view from the Atlas Mountains, an ideal place for you to stop would be the Todra Gorges. The Todra Gorges are 600 feet high and hold many caves and gullies and is a beautiful place to stay. As one of the bigger cities in Morocco, Marrakech holds great places to go. One of the most interesting places to visit would be the Jemaa el-Fna, which is a huge square that holds many Moroccan shops, dancers, performers and other intriguing things. There are many wonderful places to see that are considered the “gems of Morocco”. Two other major cities would be Rabat, the capital of Morocco, and Casablanca, the famous city of Morocco that is home to one of the biggest Mosques in the world. All of these places would be lovely sites to visit. I personally can assure you that all my stays were wonderful, and I fully enjoyed myself. 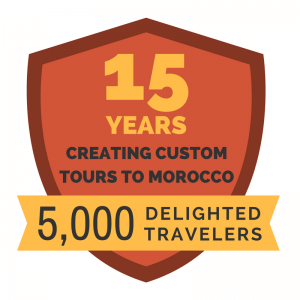 If you would like to take a professional tour to Morocco, we offer many different options. One that hits all of these main places would be the CLASSIC MOROCCO tour. This tour is our most popular and you will not be disappointed with your experience.